Compass is a stylesheet authoring framework that makes your stylesheets and markup easier to build and maintain. With compass, you write your stylesheets in Sass instead of plain CSS. Compass.app is a menubar only app for Sass and Compass. It helps designers compile stylesheets easily without resorting to command line interface. Compass.app is written in Java (JRuby), and works in mac, linux and pc. You do not need to install Ruby environment to use it. Scout is a cross-platform app that runs Sass and Compass in a self-contained Ruby environment, Scout runs Sass and Compass in a self-contained Ruby environment, letting you effortlessly manage all of your Sass projects with a handful of clicks. You’ll never have to worry about your Ruby setup or deal with technical issues. Scout does all of the heavy lifting, giving you more time to do what you love. 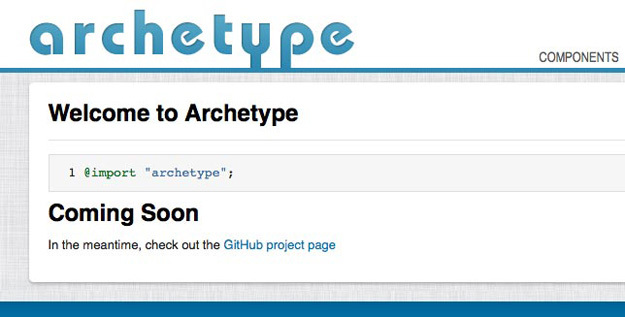 Archteype is a Compass/Sass framework for creating configurable, composable UI patterns and components. It’s well documented and uses a natural language syntax. Susy provides responsive grids for Compass, filling the void left when grids were stripped from Compass. You can quickly add media-query breakpoints for new layouts, or create your own math using Susy’s array of grid helpers. It has the power to help you build a site in minutes, or create a scalable grid library for use in large projects. The Sass Way covers the latest news and topics on crafting CSS using Sass and Compass, with articles, resources and tutorials to suit both beginners and advanced users. Sassaparilla makes starting responsive web projects faster using Sass and Compass. It focuses heavily on better typography with exceptional vertical rhythm, and lets you work in px while compiling in ems, eliminating a lot of math designers often need to do. It supports variables using Sass for things like color. 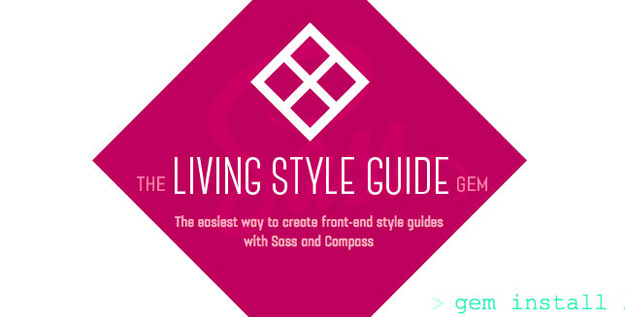 The LivingStyleGuide Gem is an easy way to create front-end style guides using Sass and Compass. Just add Markdown to your Sass to create your guides. Pondasee has been made to help front-end designers accelerate their work-flow for making web applications. It is NOT a CSS framework, it is a front-end starter kit combined with the power of SCSS & Compass to help build a template. LiveReload resides in your menu bar and monitors changes in the file system. As soon as you save a file, it is preprocessed as required, and the browser is refreshed. It ships with SASS, Compass, LESS, Stylus, CoffeeScript, IcedCoffeeScript, Eco, SLIM, HAML and Jade, and is controlled by two main checkboxes, so you won’t get lost. Koala is a GUI app for CoffeeScript, Compass, Less, and Sass compilation, to make you a more efficient web developer. It runs on Mac, Linux, and Windows, and includes real-time compilation, multi-language support, and more. Bootstrap-Sass is a Sass-based version of Bootstrap, perfect for your Sass-powered applications. It can be installed with Rails, Compass, or Sass-only. Forge is a free command-line toolkit for bootstrapping and developing WordPressthemes in a tidy environment using front-end languages like Sass, LESS, and CoffeeScript. Forge creates a neatly organized source folder with clean and simple scaffolding (base template files, SCSS files, and theme options). The source folder is automatically compiled to your local WordPress install(s) as you save changes and work on your theme. Prepros is an app dedicated to making compiling code easier. It compiles all of your Sass, Scss, Compass, Less, Jade, Haml and CoffeeScript in real time, with live browser refresh to keep your preprocessing workflow seamless. It has no dependencies and features a built-in HTTP server, background file watch, error notification and live CSS injection. Breakpoint makes writing media queries in Sass super simple — just create a variable using a simplified syntax, based on most commonly used media queries, then call it using the “breakpoint” mixin. Breakpoint handles all of the heavy lifting, from writing the media query itself to handling cross-browser compatibility issues.